Judges could be "subject to some kind of democratic control" following the High Court's decision to give Parliament a vote on triggering Brexit, a UKIP leadership contender has said. 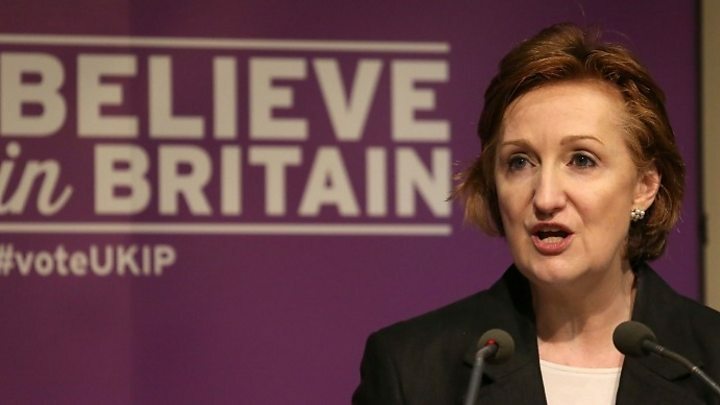 Suzanne Evans told the BBC that the panel that gave the ruling was "committed to staying in" the EU. But she added it was important to maintain "judicial independence". The government says the ruling will not slow down Brexit and Labour says it will not vote to delay proceedings. The High Court decided last Thursday that Parliament should get a vote on when to trigger Article 50 of the Lisbon Treaty, beginning the two-year process of leaving the EU. The government, which argues that ministers have enough powers to do this without the need to consult MPs and peers, is appealing against the ruling, with the case due to be heard again next month by the Supreme Court. The Daily Mail has branded the High Court judges "enemies of the people", prompting criticism from many politicians. But Prime Minister Theresa May attempting to play down the situation on Sunday, saying: "I believe in and value the independence of our judiciary. I also value the freedom of our press. I think these both underpin our democracy and they are important. "Of course the judges will look at the legal arguments. We think we have strong legal arguments and we will be taking those arguments to the Supreme Court." UKIP's interim leader, Nigel Farage, warned of large-scale public protests if Parliament delays or blocks the invoking of Article 50 , caused by "political anger, the likes of which none of us in our lifetimes have ever witnessed". Ms Evans told BBC Radio 4's Today programme there were likely to be "protests and demonstrations", but added that these would be peaceful. She added: "I have a concern that Article 50 is not intended to facilitate nation states leaving the European Union. I think it's there to frustrate them." Ms Evans said she thought the legal process could "water down Brexit". "I'm questioning the legitimacy of this particular case. We know that the legal profession threw a collective hissy fit when we voted to leave." Ms Evans said it was "human" to have "opinions", adding: "I'm not saying that we should get rid of judges." The government insists the High Court's decision will not affect its timetable for triggering Article 50 by the end of next March. And Labour has said it will not vote to delay the triggering of Article 50. However, the SNP's Brexit Minister Mike Russell told the BBC he "can't imagine" any circumstances in which his party's 54 MPs would vote to trigger it. UKIP will announce its new leader on 28 November, with Paul Nuttall and John Rees-Evans the rival candidates to Ms Evans.